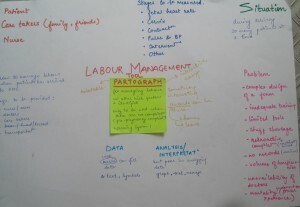 There is nothing better if a tool can help in saving lives, Labour Progression Tool or Partograph is referred to record data for managing labour thereby saving lives. Existing tool is paper based requires to be modified or redesign to increase its usability and lower down the mortality and morbidity rate.Â Taking this project forward, we had brainstorming sessions conversing on problems with the existing tool, medium of tool,Â scenario/ environment, sustainability of the tool, userâ€™s persona, tool and userâ€™s engagement. Engagement of user(s) and tool in an interactive form. Efficiency and encouragement to perform a task. Reducing paper work and better data accessibility. Quick decision-making by helping in interpreting the data. Considering every key point, the medium of tool was taken as digital medium, for which a sample storyboard was created to understand the different states of the interface and walkthroughâ€™s. Every feature of the Â interface was discussed in detail,Â from purpose toÂ response time require by the user. The tool will manage the function of the ANM with check-up reminders, database sharing and broadcasting of the information for every patient to ensure, on time assistance. Keeping in mind these constraints and also the ability of the user, the sustainable system will be designed with best user experience that involves minimal interaction and maximal functionality. 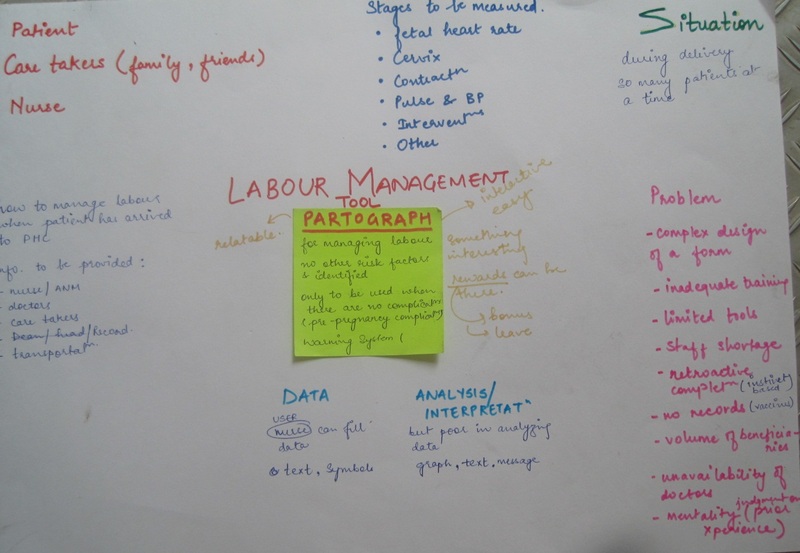 This entry was posted in BIL, Design Challenges, Design!publiC, Health Public, User Interfaces and tagged Bihar Innovation Lab, Center for Knowledge Societies, CKS, healthcare, labour progression tool, sustainability. Bookmark the permalink.